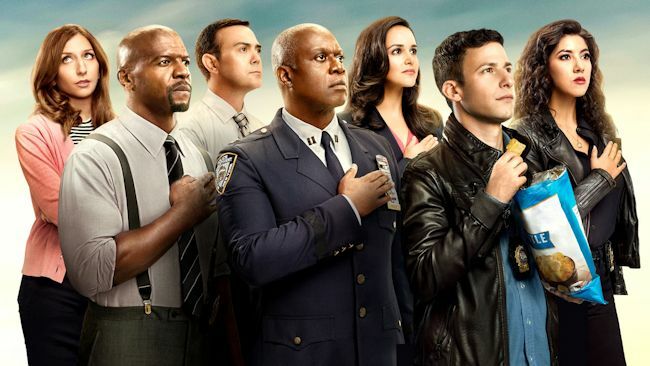 Fox has set a return date for the back half of the fifth season for comedy Brooklyn Nine-Nine. The series will move to Sundays at 8:30pm beginning Sunday, March 18, replacing Ghosted. No word yet where Ghosted will air, but that series was set to return on March 11 to air its remaining 7 episodes of the season. Brooklyn Nine-Nine was airing Tuesday nights at 9:30pm in the fall. In the return episode on March 18, after Seamus (guest star Paul Adelstein) threatens Kevin (guest star Marc Evan Jackson), Holt devises an elaborate plan to hide him in a safe house, with Jake as his guard. Kevin is miserable as the 99 works overtime to find Seamus and take him down. Brooklyn Nine-Nine stars Andy Samberg as Det. Jake Peralta; Andre Braugher as Capt. Ray Holt; Terry Crews as Sgt. Terry Jeffords; Melissa Fumero as Det. Amy Santiago; Joe Lo Truglio as Det. Charles Boyle; Chelsea Peretti as Gina Linetti; Stephanie Beatriz as Det. Rosa Diaz; Dirk Blocker as Det. Hitchcock; Joel McKinnon Miller as Det. Scully. 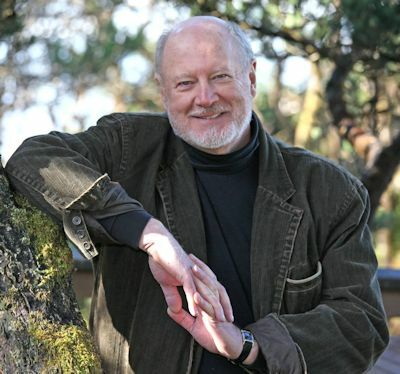 Actor David Ogden Stiers, who was best known for his role as Major Charles Emerson Winchester III in M*A*S*H, has died. He died on March 3 at his home in Newport, Oregon, from complications related to bladder cancer. Mr. Stiers was 75. Stiers' first television starring role was as Stanley Moss in the second season of the 1975-1976 CBS sitcom Doc. He ran the Westside Clinic, which Dr. Joe "Doc" Bogert (Barnard Hughes) worked at. Season two of the series also starred Mary Wickes, Irwin Corey, Audra Lindley, Herbie Faye and Ray Vitte. Stiers starred as Major Charles Emerson Winchester III in the CBS sitcom M*A*S*H. He joined the cast in season six, replacing Larry Linville (Major Frank Burns). Stiers appeared in 131 episodes over the final six seasons (1977-1983). Charles Emerson Winchester III was an aristocratic Bostonian who worked as a surgeon. 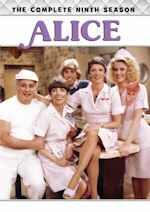 Seasons 6-11 of the series also starred Alan Alda, Loretta Swit, Jamier Farr (recurring Seasons 1-3, regular Seasons 4-11), William Christopher (recurring Seasons 1-4, regular Seasons 5-11), Gary Burghoff (Seasons 1-8), Mike Farrell (Seasons 4-11) and Harry Morgan (Seasons 4-11). Stiers received two Emmy nominations for the role for Outstanding Supporting Actor in a Comedy or Variety or Music Series in 1981 and 1982. He also directed two episodes of the series in 1981 and 1982. 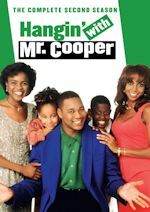 He starred as Nicholas Conklin in the short-lived 1999-2000 CBS sitcom Love & Money. 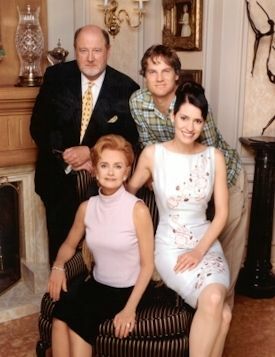 Nicholas Conklin was the stuffy billionaire father of Allison Conklin (Paget Brewster) and the husband of the boozy Effie Conklin (Swoosie Kurtz). The series also starred Brian Van Holt, Judy Greer, John Livingston and Brian Doyle-Murray. 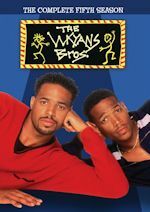 In 1998, he appeared in the recurring role of Mr. Bauer in the first season of the ABC sitcom Two Guys, a Girl and a Pizza Place. Mr. Bauer was a delusional old man who frequents the pizza place, pretending that experiences from films are his own. 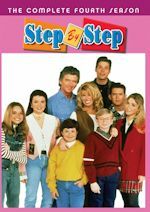 The first season of the series also starred Ryan Reynolds, Richard Ruccolo, Traylor Howard, Jennifer Westfeldt (1998) and Julius Carry (1998). Some of his sitcom guest appearances included Phyllis, The Mary Tyler Moore Show, Rhoda, The Tony Randall Show, ALF, Wings, Married People, The Boys Are Back, Cybill, The Trouble with Normal and Frasier. He appeared in the recurring role of Reverend Eugene 'Gene' Purdy in 40 episodes of the USA Network sci-fi drama The Dead Zone, which aired from 2002 to 2007. Reverend Gene Purdy was the head of the ultraconservative Faith Heritage Alliance. The series starred Anthony Michael Hall, Nicole de Boer, Chris Bruno, John L. Adams and Connor Price (Season 6). Stiers was also known for his voice work. He provided the voice of Cogsworth in the 1991 Walt Disney film Beauty and the Beast. He was the voice of Dr. Jumba Jookiba in Disney's Lilo & Stitch and its sequels. Some of his other voice credits included Teacher's Pet, Disney's House of Mouse, Justice League and Regular Show. He was also one of the narrators for PBS' American Experience, Frontline and Nova. Mr. Stiers was a towering presence with a deep, calm voice. He was very memorable as Major Charles Emerson Winchester III. He played the character to perfection. We thank him for the laughs and entertainment he brought us over the years. He will be greatly missed. 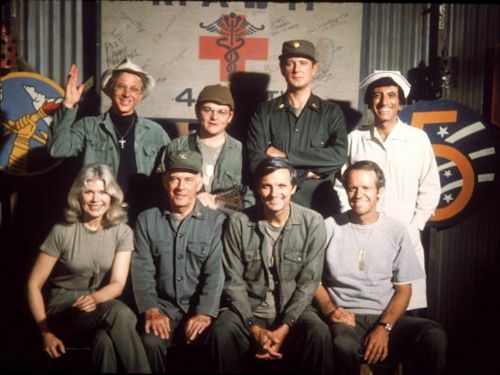 Share your memories on our M*A*S*H message board. View photos in our galleries.